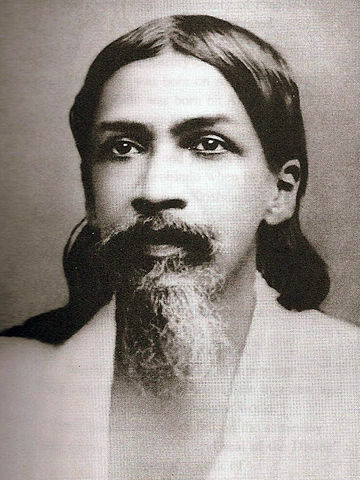 Sri Aurobindo was an Indian freedom fighter who later turned into a yogi, guru. He also wrote many books and poem. He was born on 15th August, 1872 in Calcutta. His father was Krishna Dhun Ghose and his mother was Swarnalata Devi. They had five children. Aurobindo was the third child. His maternal grandfather Shri Rajnarayan Bose was a very prestigious person. His father was a member of Brahmo Samaj and used to think British Culture as superior. He studied from Loreto House boarding school in Darjeeling. His father’s wish was to enter his children into Indian Civil Service Organization. For that they needed to study in England. In 1879, the whole family moved to England. Aurobindo and his brothers were placed under the care of W. H. Drewett, a friend of his father. Under the Drewetts care, he learned Latin, grammar, history. Later he joined St Paul's School and after that he was admitted to the King’s college, Cambridge. He successfully cleared the ICS entrance examination but purposefully got himself disqualified in the practical examination as he had no interest in ICS. With the help of his father’s friend, he got a place in Baroda State Service. He moved to Baroda in 1893. During his stay in Baroda, he became interested in the India’s independence movement. He started to communicate with different rebellion group of Bengal. He also started writing articles in different magazines. In 1906, he moved to Bengal. He helped to establish many youth clubs for the independence movement. One of the youth club was Anushilan Samiti. He travelled a lot to get support for the nationalist movement. In 1908, he was arrested in the connection of Alipore Bomb Case. After a year, he was acquitted. During this time, his life got changed. He started to see the life differently. He started practicing yoga and meditation. He distanced himself from the politics and later moved to Pondicherry in 1910. In Pondicherry, he started a magazine called Arya. He started publishing different spiritual articles on Gita and Vedas. Later these articles were revised and published as books- Essays on The Gita, The Secret of The Veda, Hymns to the Mystic Fire, The Synthesis of Yoga. With the increase of followers, in 1926 they established the Sri Aurobindo Ashram. Aurobindo’s close aid was Mirra Richard, also known as The Mother. After the death of Aurobindo, she took the responsibility of the ashram. One of his famous poem was Savitri. It was an epic poem of 24,000 lines. He was nominated for the Nobel Peace prize in 1950 and Nobel prize for Literature in 1943. He took his last breath on December 5, 1950. "Life is life - whether in a cat, or dog or man. There is no difference there between a cat or a man. The idea of difference is a human conception for man's own advantage." "Hidden nature is secret God." "Genius discovers a system; average talent stereotypes it till it is shattered by fresh genius." "The only work that spiritually purifies us is that which is done without personal motives." "The mind of an ordinary man is truly near the heart." "He who chooses the infinite has been chosen by the infinite."